Crash driving course is known as Intensive Driving Course. Not the most appropriate name but the crashing refers to cramming as well as re-shaping vehicles. We offer driving lesson in a great environment away from the busy of city. Get anintensivecrash courseat yourdoorstepand becomea gooddriver. Learn to drive and gain experience efficiently and effectively without facing a held load of traffic. You can learn to drive a car in the congested traffic circumstances of central London. Get experienced driving instruction in rural areas, easy accessibility from central London on the Waltham stow to Victoria Line, or on the Loughton or Central line to South Woodford Buckhurst Hill. 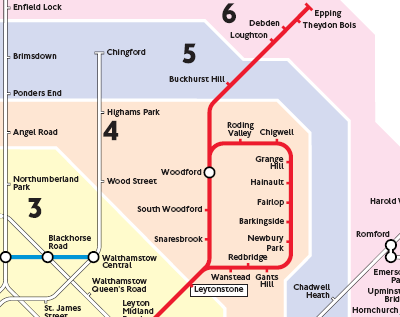 For your driving lessons you can travel from Liverpool Street in London to Chingford overland. There are lots of benefits of learning to drive in the Loughton, Wanstead and Chingford areas. The 3 major test centers, Chingford, Loughton and Wanstead provide a wide range of road conditions which includes several entry ways to the 406 for efficient Highway training and preparation. Carcaptain provides you with a driving experience with tuition environment which is helpful to the new learner. Our charges are extremely competitive, and most importantly easy to understand. As per a Chinese saying "Every journey, even the longest, starts with the first step." You need to take the 1st step and then we'll do our best to assist you in the learning process. Our commitment to you is that we'll go with you there and back! Becontree, Beacontree Heath, Barkingside, Aveley, Barking, Ardliegh Green, Abridge, Abbotts, Corbetts Tay, Collier Row, Chigwell, Chase Cross, Chadwell Heath, Buckhurst Hill, Brentwood, Gidea Park, Gants Hill, Emerson Park, Elm Park,East Ham,Dagenham,Cranham, Dagenham East,Hutton, Hornchurch, High Beach, Havering,Harold Wood, Harold Park, Harold Hill, Hainault, Goodmayes, Ockendon, North Ockendon, Newbury Park, Manor Park, Loughton, Little Ilford, Lambourne End, Ilford, South Woodford, South Ockendon, Shenfield, Seven Kings, Romford, Redbridge, Rainham, Purfleet, Pilgrims Hatch, Woodford, Woodford Green, Wanstead, Wanstead Park, Upminster, Thamesview, Stondon Massey, Stapleford, Stapleford Tawney. Find your area here and if your area is close by please contact us and get a quote.